Missing out on your favorite folder of movies, games and other essential data types can upset you in no time. Who savors data loss - a terrible curse, one can get inflicted by. But, there is always a solution to any problem. Thus, retrieving the data can be simply done by maintaining backup on your iPad. And, to help you in facilitating, we've collected 10 most reliable iPad data backup apps. Read on to unveil them now! Here is the list of 10 iPad Data Recovery software, you can put into considerations for maintaining the backup of your iPad in ease. The most reliable, intuitive data manager for taking good care of your iPad can be done via Any iOS Data Manager. 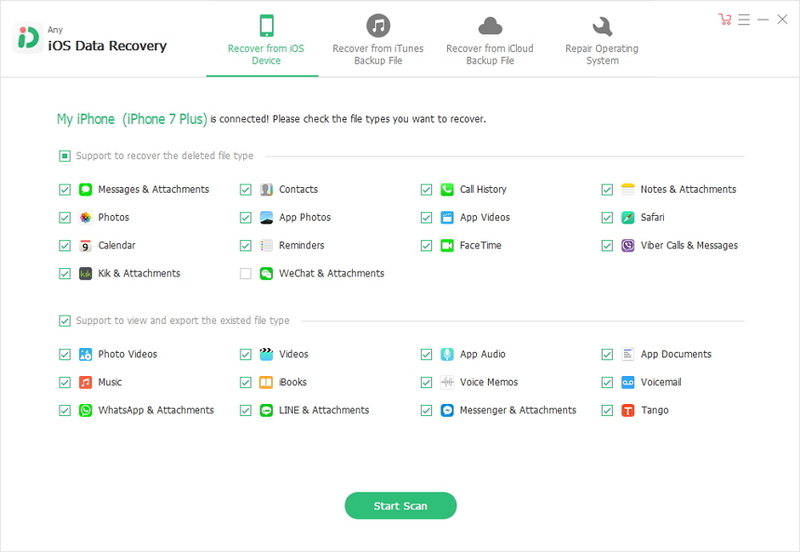 With its 1-click technology, iCarefone helps in maintaining backup of your iPad and restore an array of data types like music, photos, videos and many more in a hassle-free manner. Selectively backup only needed files to your computer. Backup and restore iPad data without iTunes epesically helpful when iTunes can't read contents of your device. Keep multiple backup copies which you're free to choose to restore data from. Support to backup 20+ files including WhatsApp, Contacts, Photos, Music, Messages and more. The whole backup process is fast and completely free. Apple's iTunes facilitates in maintaining backup of your Apple device. This, in-built feature of Apple devices enables users in retrieving data which can prove to be useful in the future course. Although, it is essentially driven as a media player for featuring music, iTunes goes on to manage audio files flawlessly and backup iPad to iTunes. Very well intuitive web interface, useful in carrying out the operations of backing up the data. Free to backup and restore iPad data. Cannot selectively backup specific files on iPad. You cannot keep multiple backup copies for your iPad. The backup process may take a long time if you have lots of files on iPad. From the powerhouse of Apple, iCloud is the in-built cloud storage, designed to solely work in the apple devices. iCloud drive keeps a good track of the data types existing in the iPad and backup iPad data to iCloud in a simple manner. Can be trusted for running manual/automatic backup on your data. Cannot flexibly backup specific files on iPad. Cannot keep multiple backup copies for your iPad. The contact details, keynote etc are not restored up-to-date. Your device must be connected to Wi-Fi. EaseUS MobiMover is a free iPad backup app, a good option for keeping the backup of your iPad. Users can make a great use of this application. Easily maintains the backup of your iPad. Swiftly deal the scenario of data loss including formatting, crashing, jailbreak or that of upgrading to the latest OS. The scanning process is very time-consuming.. It is a paid program. Syncois is one of the iPad backup app, useful in periodically maintaining the backups of data. Moreover, it is useful in extracting the information present in your iPad easily. Recover iTunes/iCloud backup to iOSdevices. The contact number does not work. Offers limited features for backing up data. One of the useful, backup app for iPad is AnyTrans, equipped with the technology of keeping the backup of your iPad. AnyTrans allows users the control to monitor the data and save it in the backup. And, in the times of data loss, you can retrieve the data back to your iPad. Selectively backup data without any hassles. 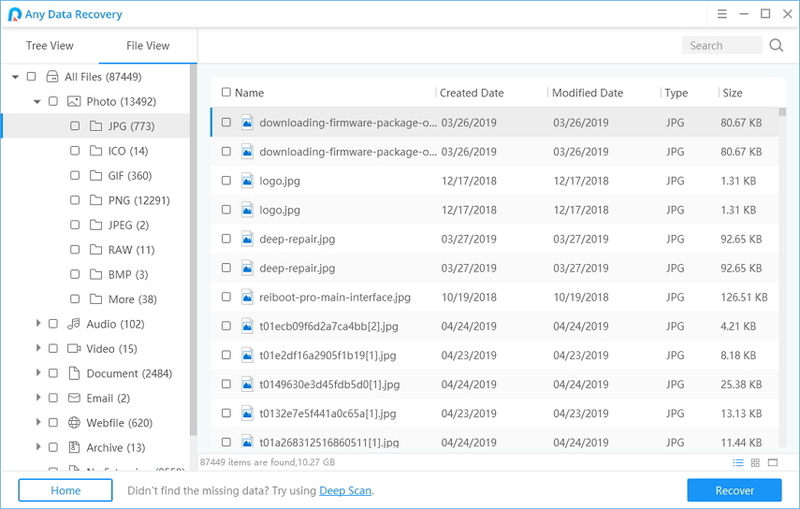 View files in your backup, and manage your backed up files. A little expensive. US.99 for single license, and US.99 for unlimited license. Consuming a whole lot of CPU and RAM space while running. 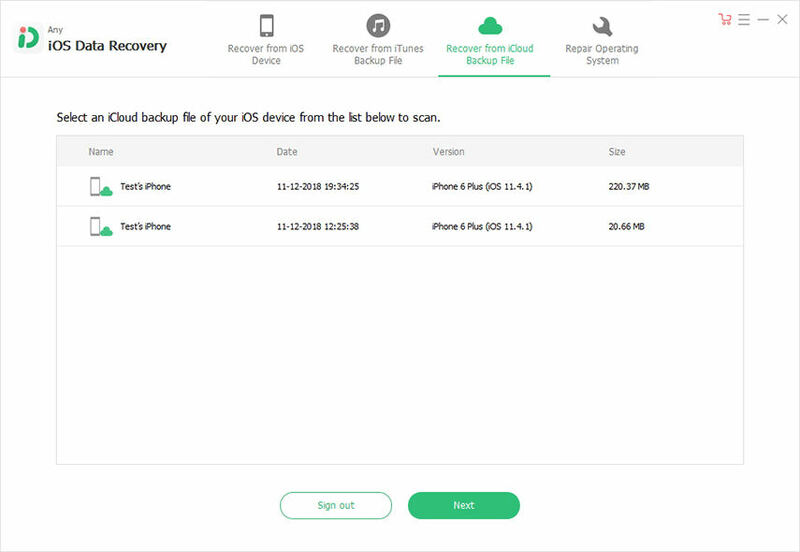 From the house of Wondershare, dr.Fone-Backup &Restore (iOS) can be considered in the lists of one of few, reliable backup software that wholly maintains the backup of your iPad in a convenient manner. This helps in retrieving contacts, messages, calls and a range of media files back on your device. Allows users to preview the files before saving them. Not support to backup WhatsApp messages, SnapChats, etc. CopyTrans is another useful option in iPad backup app that helps user in up-keeping constant backup of the data in a convenient manner. So, the users can consider using CopyTrans for extracting music, videos, photos, PDF etc from the computer. Selectively backup music, videos, photos, and more, without iTunes. Backup data without the need for an Internet connection. Does not have a free trial version available on the program. Not support to preview photos. Beyond having the amazing factor, iMazing is a user-friendly that maintains backup of your iPad without having to pay any additional cost. Moreover, iMazing can flawlessly work in an array of Apple devices in a very convenient manner. Copy music back and forth between iPhone, iPad, iPod and your computer. Slower transfer than competing software. The last in our list to backup iPad's data in a smooth way can be executed by iTransor iOS Data Backup& Restore Software. It's a highly useful way of maintaining backup of iPad and restores essential types of data easily. Backup up to 18 + data types inclusive of calls, photos, media. The customer service does not actively respond to the queries..
Takes time in processing the data backup. After scrutinizing all the applications, we strongly recommend users to use Tenorshare's Any iOS Data Manager for smoothly maintaining the backup of the data. It's highly reliable and works in hassle-free way.